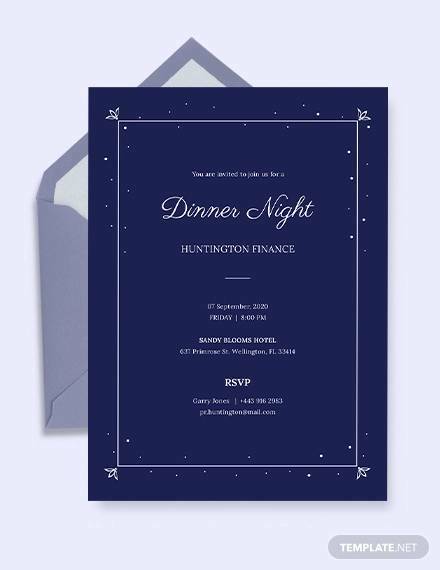 We have the most beautiful and classic Dinner Invitation Templates here. They have creative design and premium look. The color blends are mind-blowing. 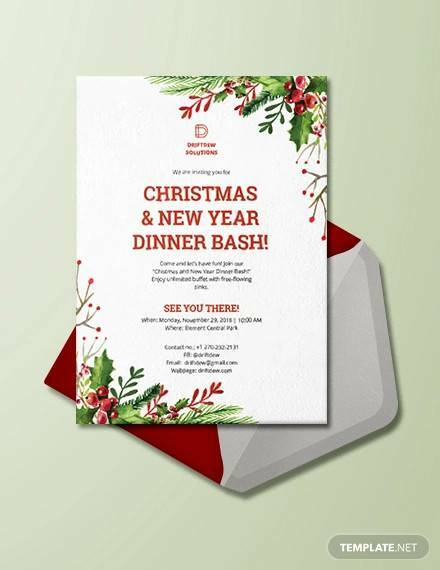 There are several categories of dinner invitation templates such as rehearsal dinner, wedding dinner, birthday dinner, valentine dinner, corporate dinner, holiday dinner, dinner party and a thanksgiving dinner invitation. 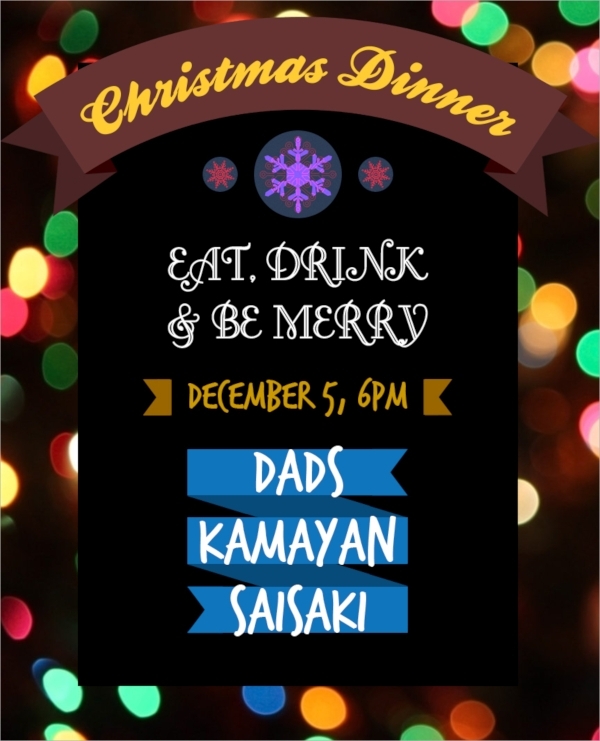 Some of them have a minimal design with a light background; others have a creative design with a dark background and golden text. 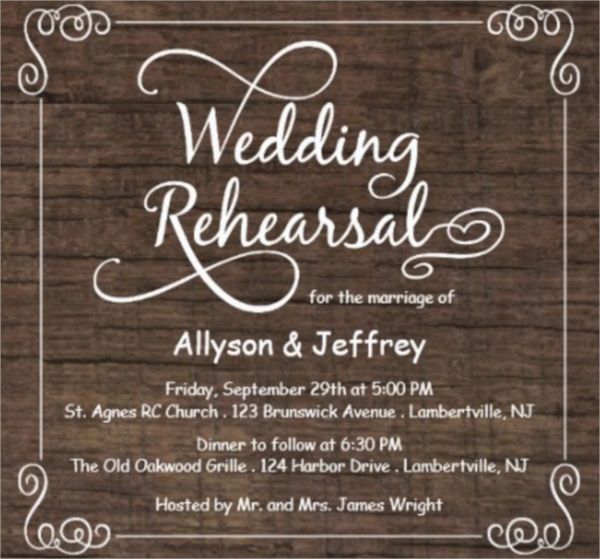 They are fully customizable and have amazing fonts. 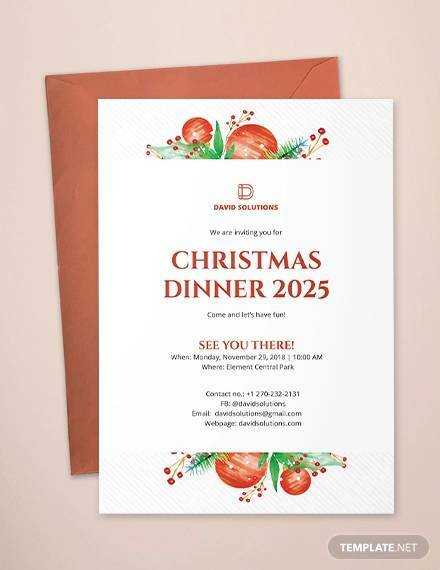 It is a retro styled holiday dinner invitation template. It has 4 color variations. There are shuttle designs to add beauty to the overall design. 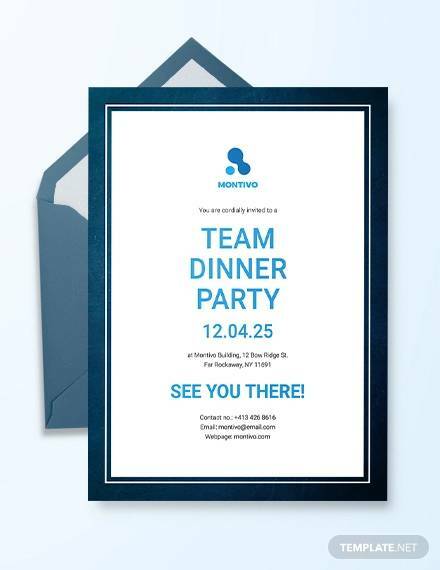 It has well-organized layouts and has large fonts. Some of the fonts have special effects. It is fully customizable. It is of size 4 x 6 inches. 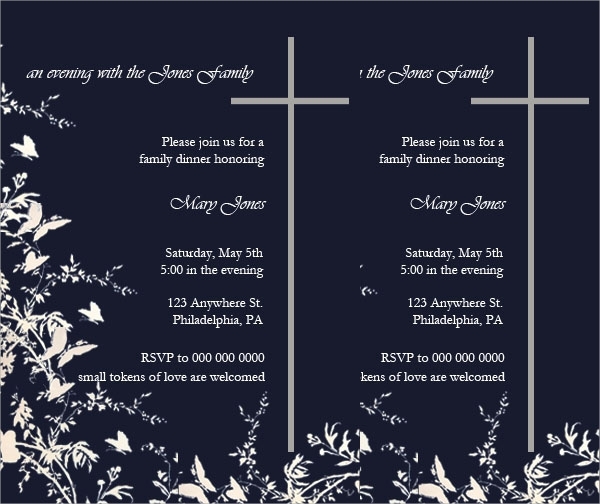 This is a clean and modern wedding dinner invitation template. It comes in 3 different color schemes. It has a replaceable background image. It is editable is Illustrator. It has an organized overall design and beautiful thin fonts are there with highlighters. 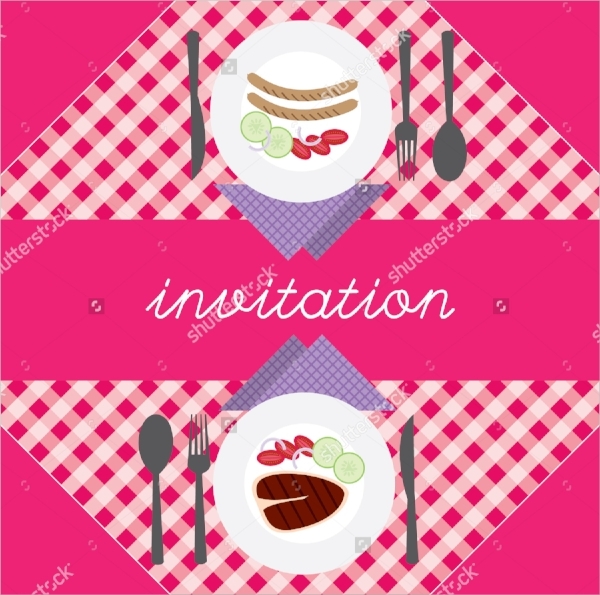 This is a pink colored fun-filled dinner invitation template. The color scheme is changeable. A help guide is there with the source file containing all the instructions. Beautiful objects are present which go well dinner. It is vector and has high resolution. 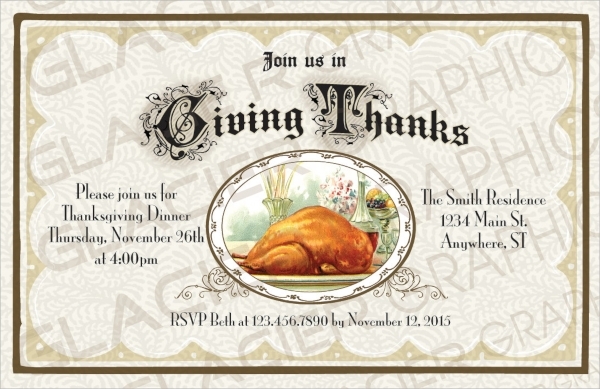 This is a professionally designed thanksgiving dinner invitation template. It is available in several color options. AI and EPS source files are there for editing. It is in print ready mode and free fonts are downloadable. It is of size 5 x 7 inches. 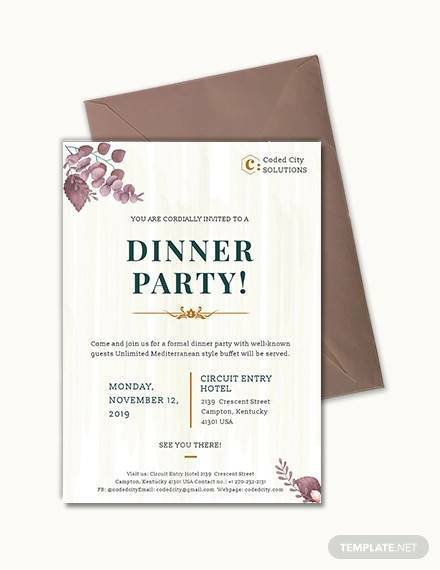 This is a traditional postcard template for a dinner invitation. 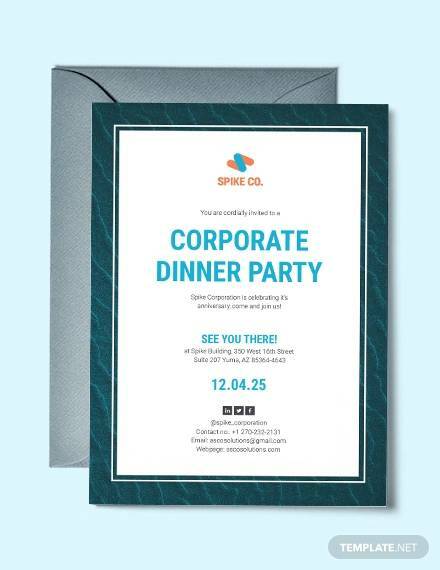 It has a white background with shuttle dinner related objects in white spaces. A background image can be placed on the background to make it look beautiful. It is of size 4 x 6 inches. 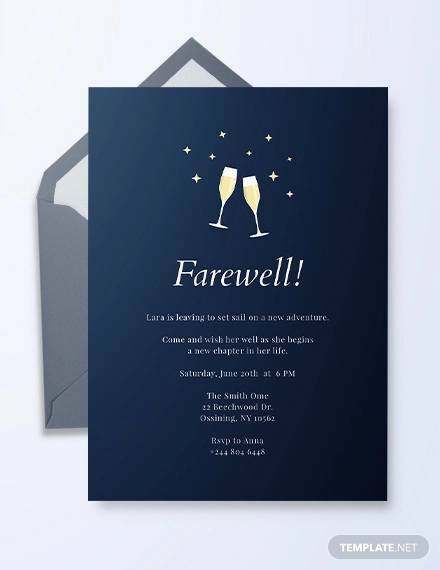 You can also see Farewell Party Invitation Templates. 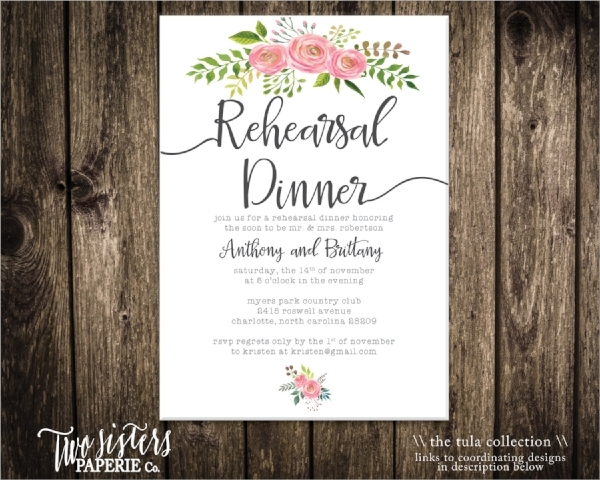 This print ready dinner invitation template has signature fonts. The fonts are available in the bundle along with the source file. Floral structures are there on the borders which add beauty. It has single click color change option. 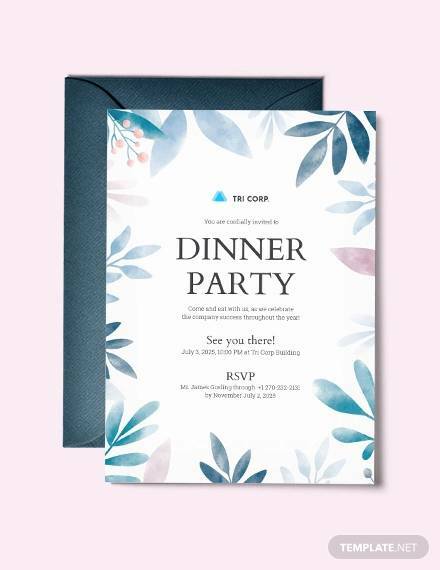 This is an amazing and eye-catching dinner party invitation template. The beauty lies in its background image. The background image is replaceable. The leaves on the background come separately in order to change their colors and orientation. 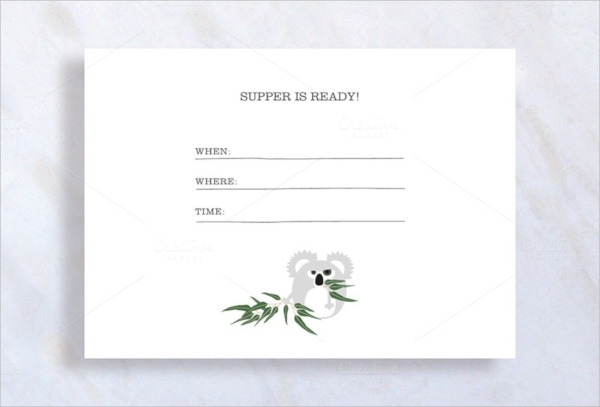 This is another clean and minimally designed dinner invitation template. 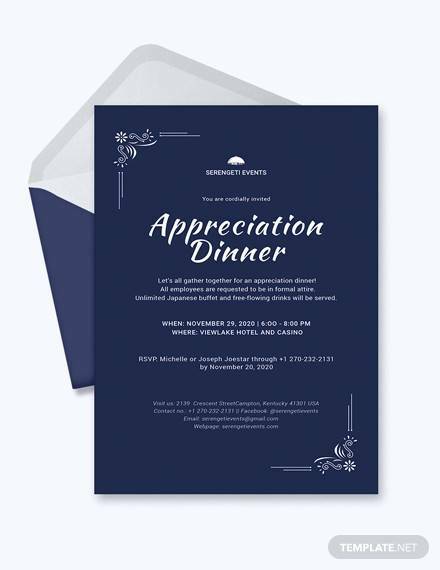 It comes with an envelope and ribbon design. It is available in multiple colors. It has high resolution and a few relevant objects are there for customized design. 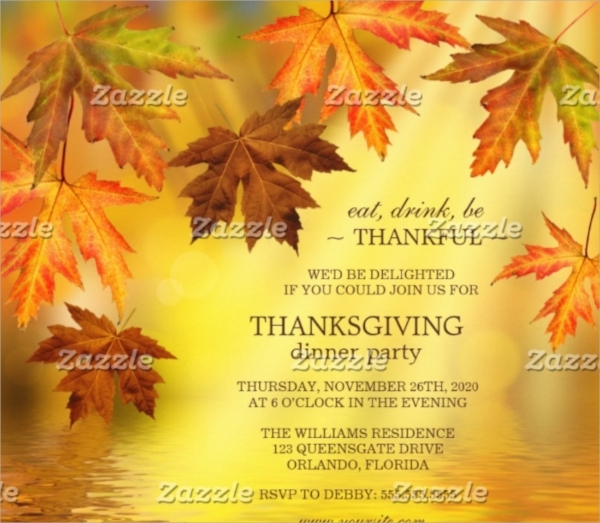 This is a 5 x 7 thanksgiving dinner invitation card with retro color. 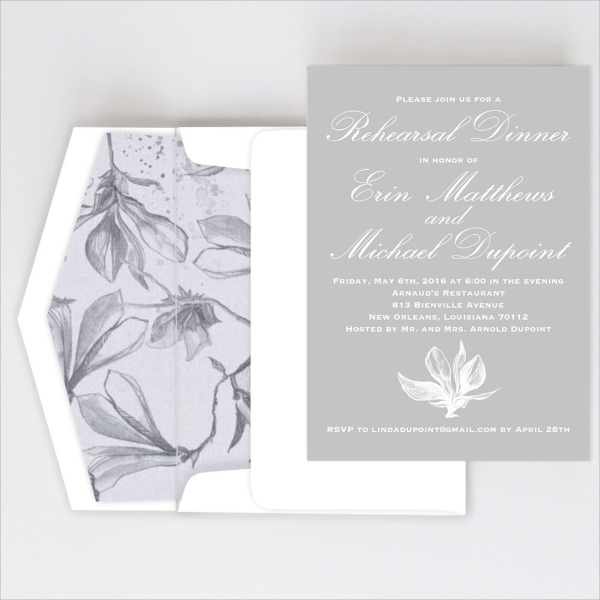 The design is quite eye-catching and has beautiful background design. 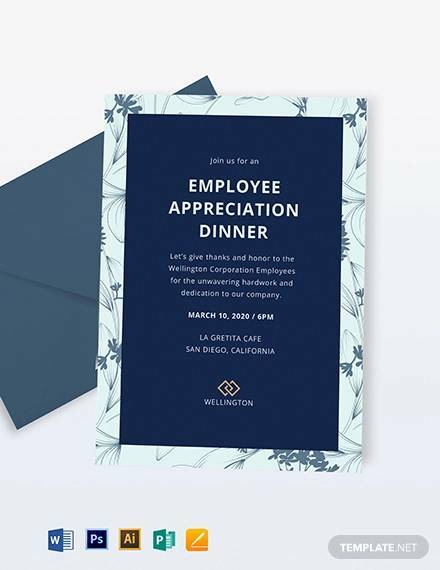 Thick border and highlighters are making it look proper for a dinner invitation. 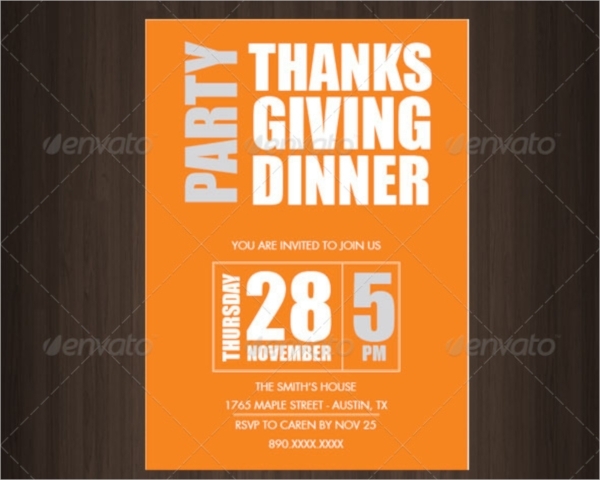 This is another retro colored Dinner Party invitation card template. It has stunning designs and beautiful graphical effects. It is editable in Photoshop with its source file. Amazing color options are available. 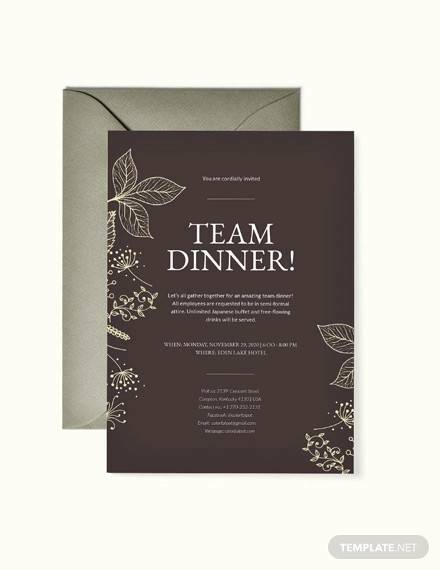 This wooden background dark colored dinner invitation template has high resolution. 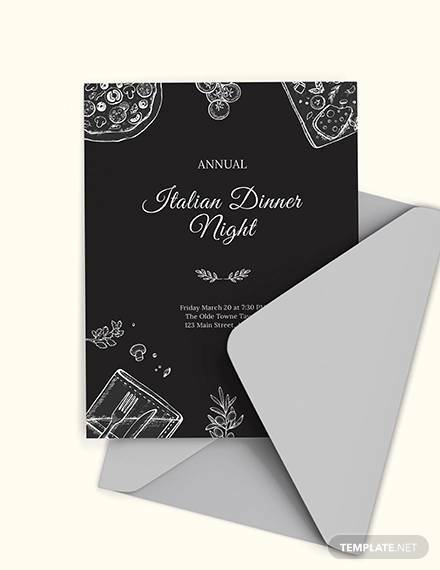 Its design is clean and the white color on the dark background is beautiful. Signature fonts and others can be downloaded for free. 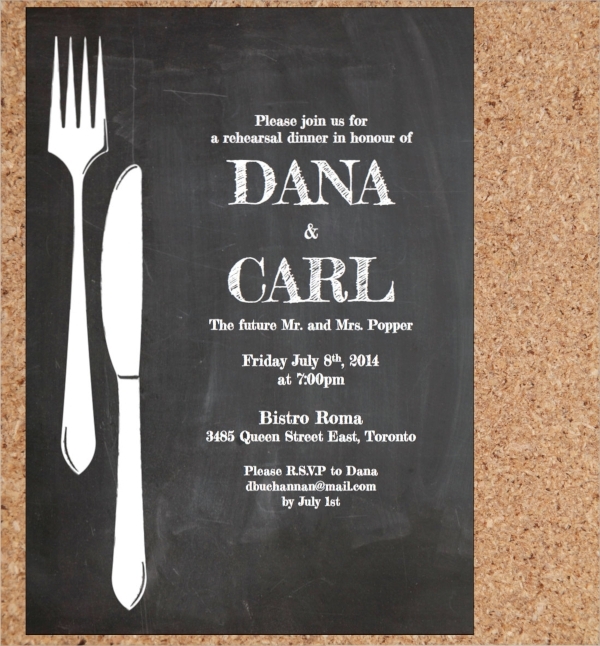 This is a typical chalkboard dinner invitation template. It has flat icons and objects related to dinner. 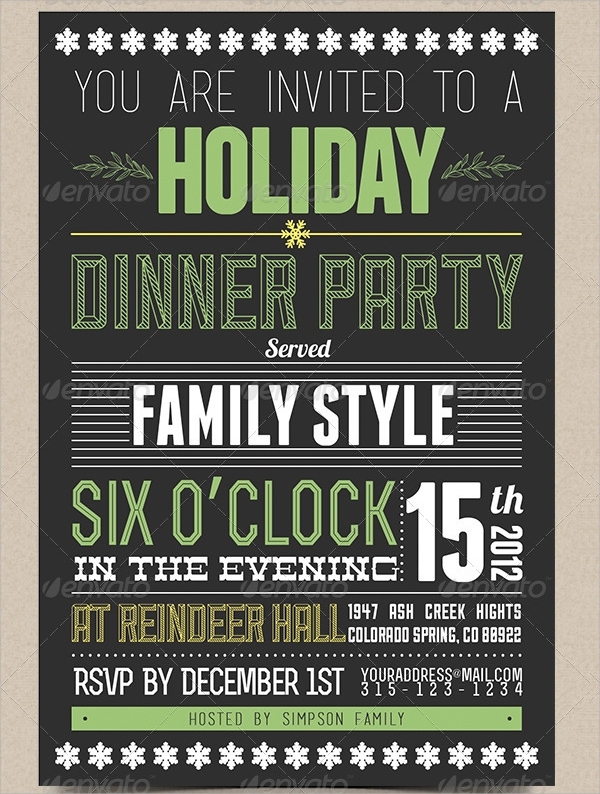 The fonts are completing the chalkboard design. 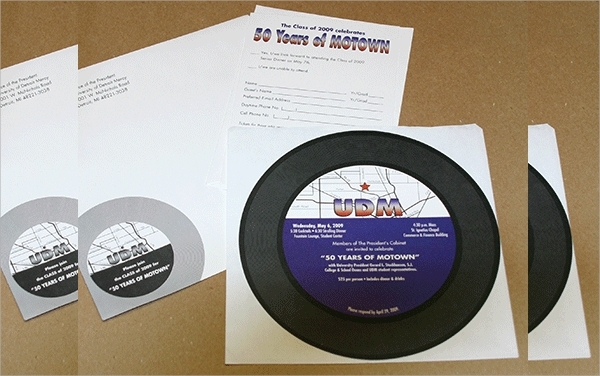 It has a size of 5 x 7 inches with 300 dpi quality. 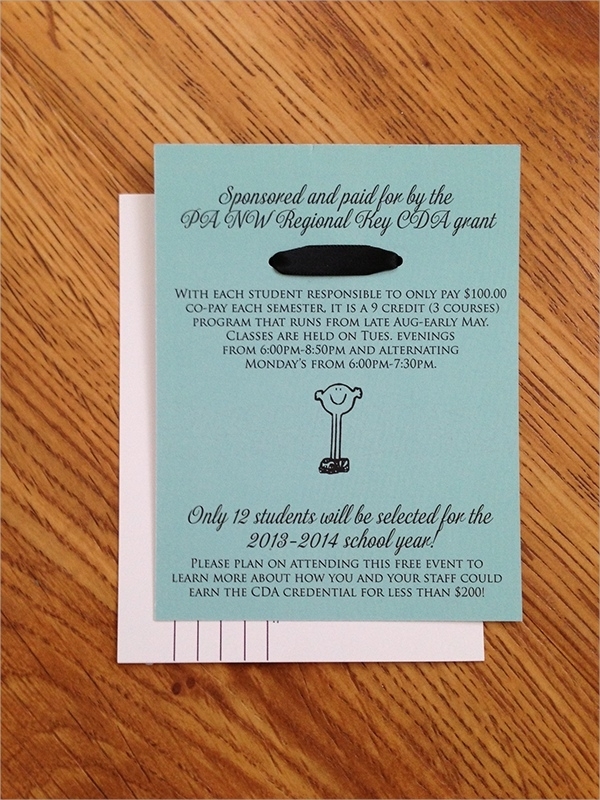 It is easy to edit and fits in A7 envelope. 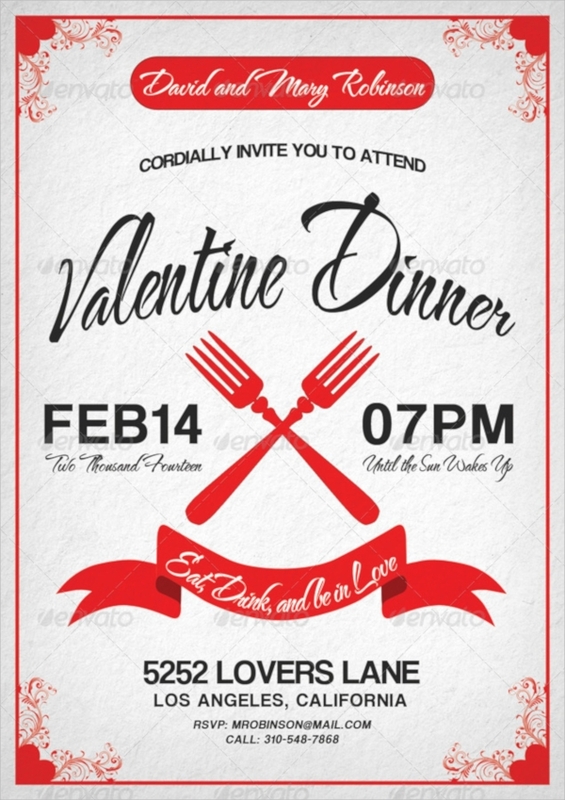 This is a perfect valentine dinner invitation. It has red color as its theme. The theme color is editable with a single click. Beautiful fonts are present with shuttle design around the edges. 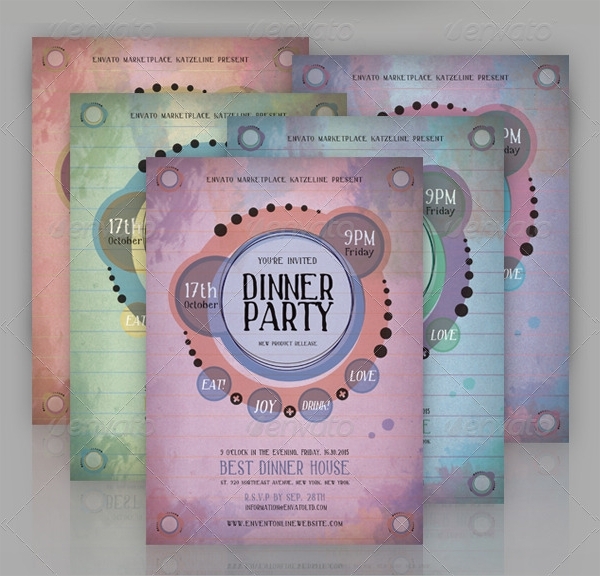 This is an editable dinner invitation template with doodle designs both on the top and bottom. It has a white background and the beautiful fonts are making it look classic. It is available in editable PDF file. 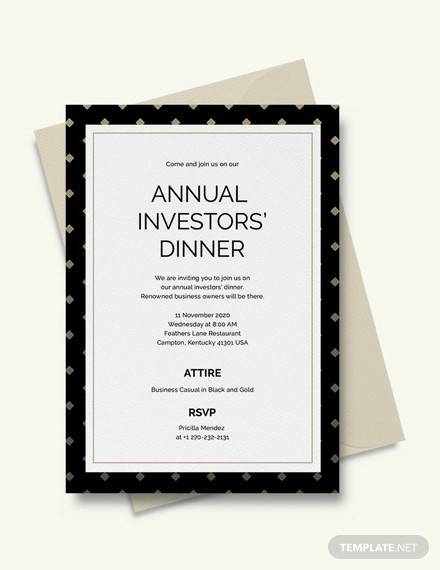 This is a premium dinner invitation template. It has a black background and beautiful background design. The fonts are equally beautiful. The background design is replaceable and the theme color is changeable. 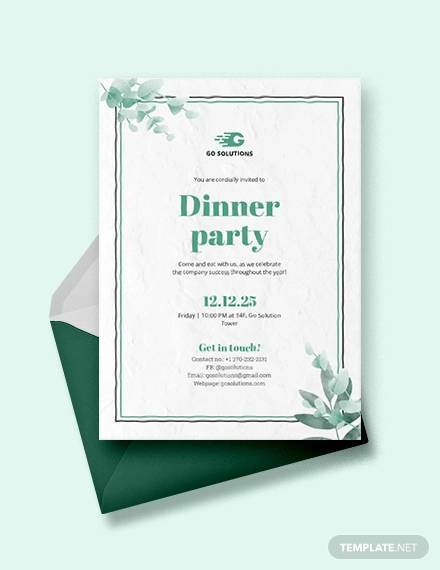 A Beautiful collection of dinner invitation templates is present here. They all have high resolution. Amazing fonts are adding beauty to the templates. They have a stunning color combination. Some of them are formal while others are informal.